Ms. Greenblatt is an associate in the Commercial Litigation, Cooperative and Condominium Housing and Real Estate Litigation Practice Groups. 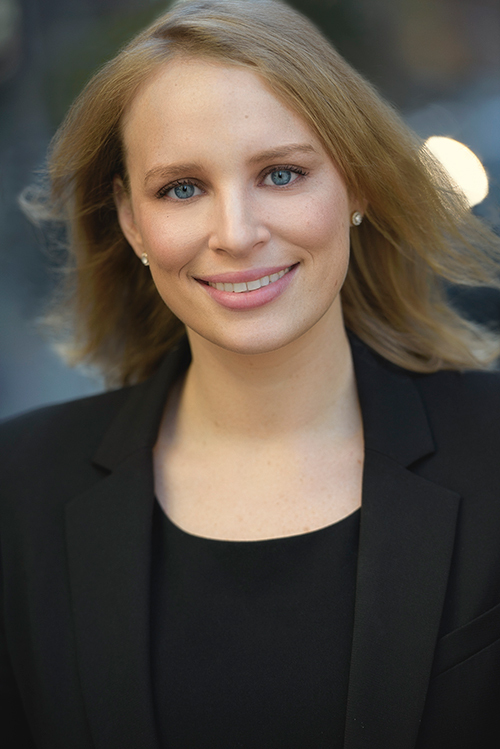 She has extensive experience in representing partnerships and individuals, as plaintiffs and defendants, in complex commercial matters, with an emphasis in real estate and business contract disputes. Ms. Greenblatt is experienced in all phases of litigation in both state and federal courts. Prior to joining the firm, Ms. Greenblatt worked in private practice with an emphasis on general commercial litigation and real estate litigation. Represented LLCs and their individual members who owned various properties. Successfully dismissed complaint seeking damages of $2 million based on defendants’ alleged breach of a settlement agreement, breach of defendants’ operating agreements, and breach of fiduciary duties. Represented owner and developers of two new multi-unit residential building seeking damages of $50 million from a bank for an alleged breach of the bank’s obligation to lend funds. Successfully opposed the Bank’s motion to dismiss. Represented owner of three Manhattan commercial properties against a real estate broker seeking brokerage commissions. Following oral argument, owner’s summary judgment was granted. Assisted in representing individual members of a 45 unit condominium sponsor. Successfully dismissed complaint by the condominium’s Board of Managers asserting breach of contract, breach of the implied warranty of habitability, fraud and negligent misrepresentation. Assisted in obtaining a Yellowstone injunction preventing an eviction of a 50-year multi-million dollar lease holder. Successfully moved to dismiss numerous foreclosure actions on behalf of homeowner clients. Successfully discharged mortgages and mechanic’s liens encumbering clients’ residential properties.